William Lansing currently serves as the Chief Executive Officer of FICO, a leading analytics software firm. Mr. Lansing is also the Chairman of the Board of directors at Shutterfly, an online retailer and manufacturer of high-quality personalized products and services. Before joining FICO, Mr. Lansing served as CEO and president of InfoSpace, and also as CEO and President of ValueVision Media. He was a partner at General Atlantic Partners, a global private equity firm. Prior to his work at General Atlantic, Mr. Lansing served as CEO of NBC Internet, an Internet media company and as CEO of Fingerhut, a direct marketing company. 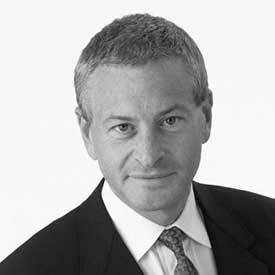 He has also held leadership positions at General Electric, Prodigy and McKinsey & Company. Mr. Lansing has served on the board of directors of FICO since February 2006. He holds a B.A. from Wesleyan University and a J.D. from Georgetown University.